If you want to decide on a change in your outdoor landscape, or when the yard for you is an inconvenience rather than a pleasure, it is definitely the flooring that has not lived up to your desires. Now is the time to draw up a budget, which is adjusted to your pocket and the measure of land available. You need to find the material that is durable, easy to maintain and meet the expectations of the family. Remember that the priority is to be a material that, besides being in line with what you are able to invest, is also resistant to the changing climate of the region where you live. You need to get all the facts and analyse the possibilities. In this list of ideas, homify will show you 10 options to help you decide which floor put on your patio. 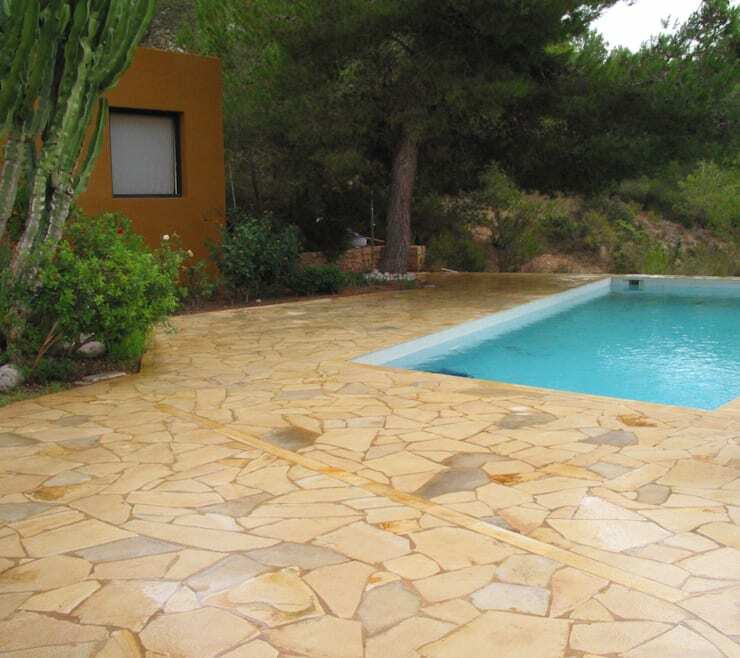 Within the variable of this type of coating, flagstone is one of the cheapest options and can be found in a variety of colours and shades. The surface of this stone can be made to be in a smooth finish or irregular according to your taste. You must be mindful to treat flagstone, however, with a stain resistant product at installation to protect it from discoloration. 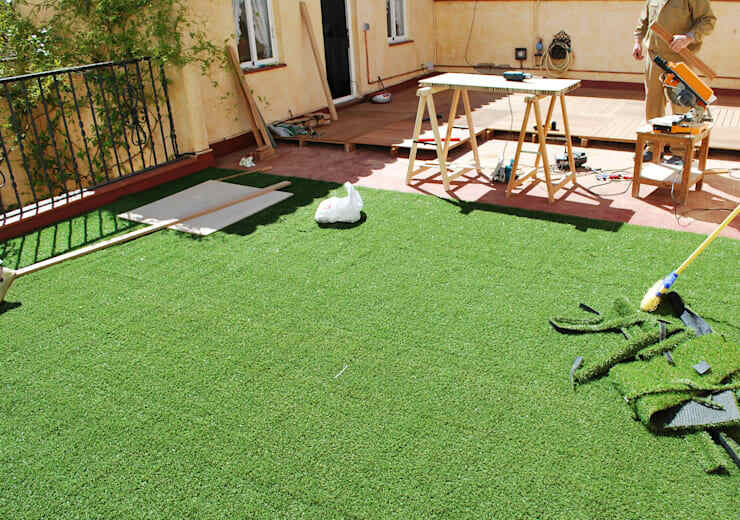 If you want something easy to install and maintain, and which does not exceed the budget, we'll recommend synthetic turf. This option looks like newly planted green grass all year round, and you do not have to water or cut it. In addition, it is resistant to heat and excess rain, as well as cold winters. This solution, which was previously only for large sports fields, is now within the reach of private homes with affordable prices and fast installation. The warmth of wood has always been proverbial in making any environment or room into a pleasant atmosphere. 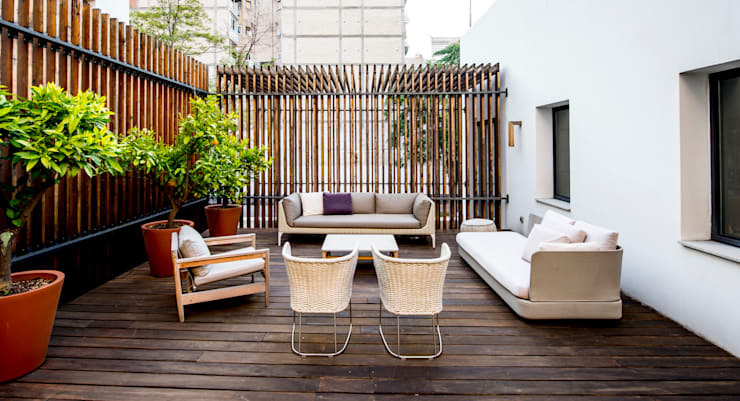 A wooden deck in your backyard is a detail that will favour you greatly, creating an atmosphere that is welcoming and a very special place for relaxation. River stones can be found in many shades, but among the predominant colours are grey, brown and even reddish tones. 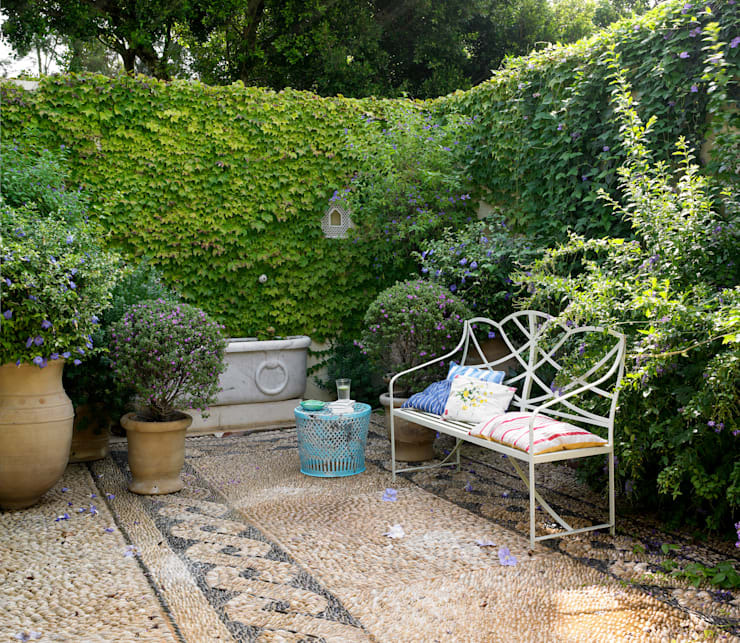 You can combine these as in this courtyard to create a tranquil space. You still do not need to make a floor solid, with a mixture of cement that brings together the stones. Just place a layer of gravel on the dirt floor and you will have your perfect finish for the floor you want to change. 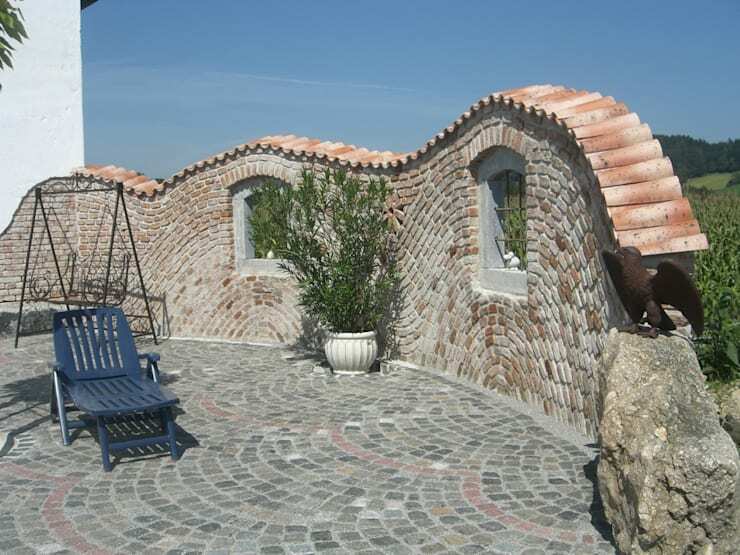 With cobblestones, you can make all kinds of designs. This material is very resistant, attractive and anti-skid, so you can have fun designing how you are going to place the tiles in a creative manner. 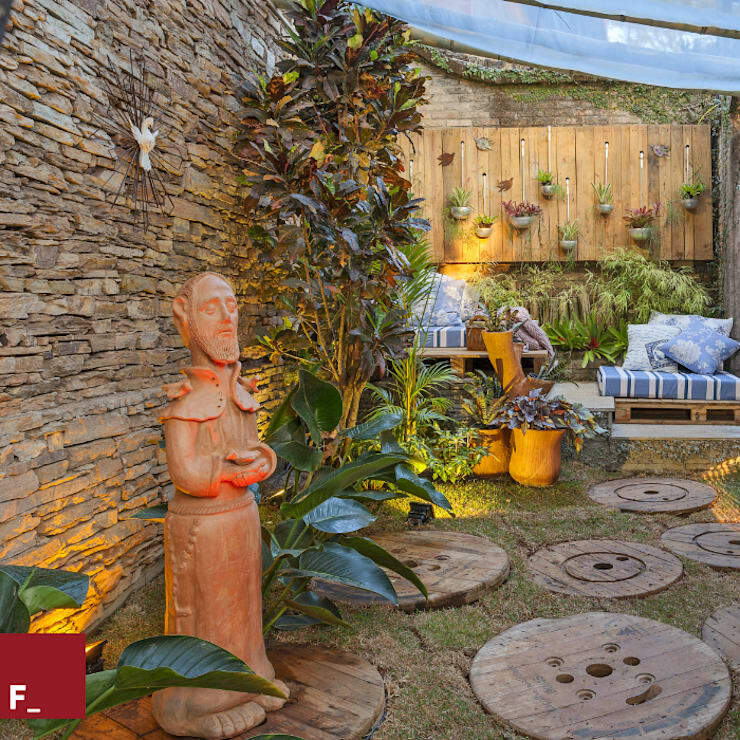 In this courtyard we see an overflow of originality where the imagination was the limit. Among the lawn they placed these circular pieces of wood, creating a unique decoration and combining perfectly with the sculptures as accessories. What a pleasant garden! 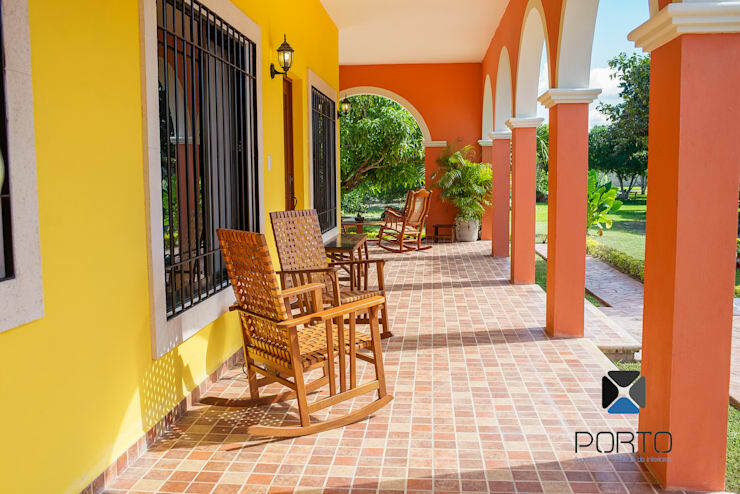 Synthetic patio flooring is another material that is very practical and relatively inexpensive.The colours and shapes can be found in a variety of styles and colours, are washable, and it is an insulator for heat and cold. Perfect for small children! 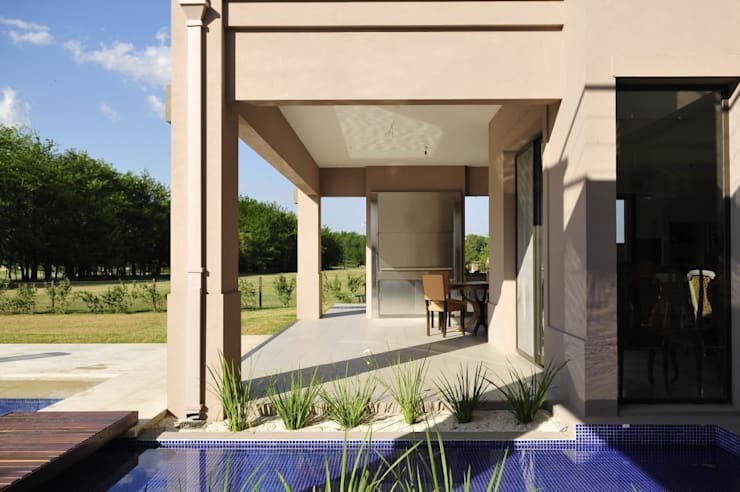 Microcement is one of the products that is booming in the market. It has a polished finish, can be found in a variety of colours, has a soft texture, but still has good rigidity and durability. 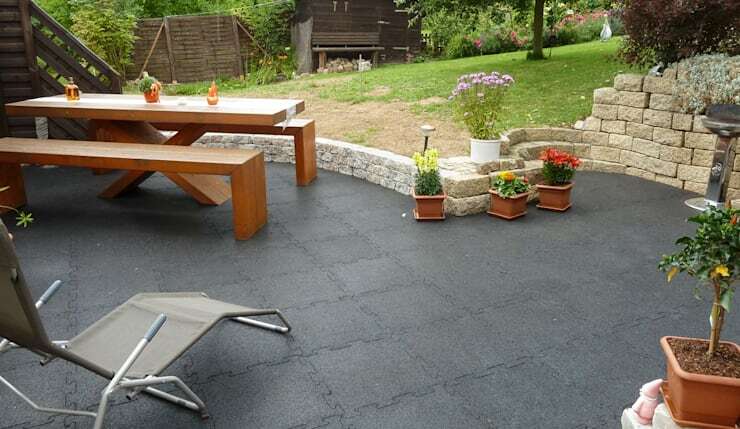 We hope that you have an idea for the ideal flooring in your backyard after looking at our list. 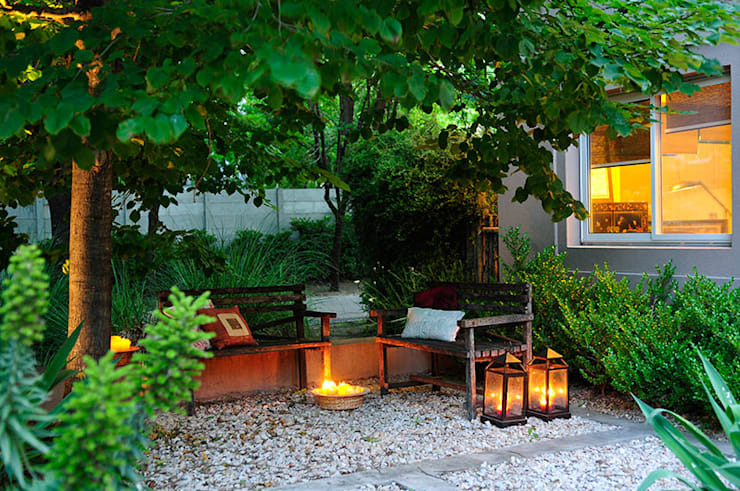 Now for more garden inspiration, take a look at these: 30 beautiful patios and small gardens! Which of these are you going to try out?